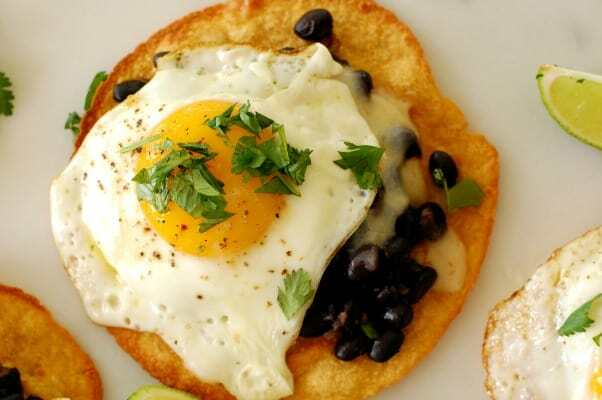 Mexican tostadas are nothing more than a toasted tortilla and usually topped with the same ingredients you would use for a taco. Not today! 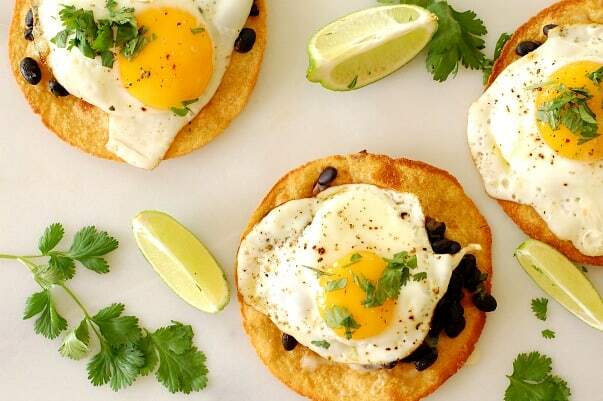 I’m topping this toasted tortilla with a fried egg and making a breakfast tostada. Thing is, I wouldn’t mind having this for lunch or dinner either. 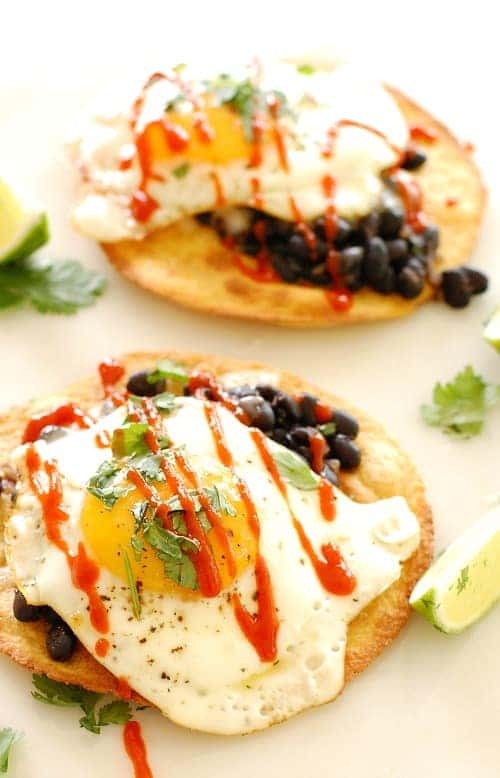 Black bean and egg tostada is easy and satisfying and packs just enough heat to keep things interesting. I tried two different methods to toast the corn tortillas. The first was to heat the oven up to 375° and toast the tortillas on a sheet pan. 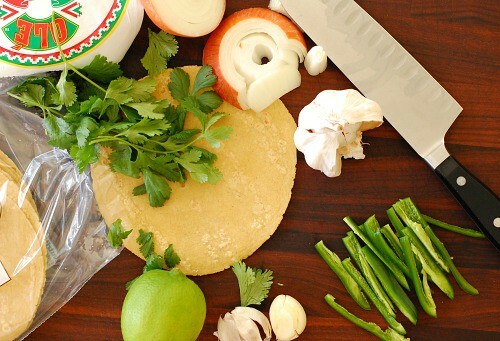 Just lightly brush the tortilla with olive oil and sprinkle with a little salt. Place in the oven for 8 or 10 minutes until browned. Keep an eye on them so they don’t burn. This will make the tortilla crispy. The second method is to brown the tortilla in a skillet on the stove top. Lightly brush both sides with oil, then fry on medium high heat until slightly browned. This will leave the tortilla more pliable. A third way, which I didn’t do, is to deep fry the tortillas in oil. 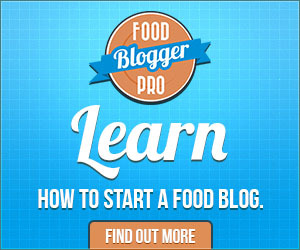 This is probably the more traditional method, but frankly, I don’t want the mess that can create, not to mention the additional calories this could make. 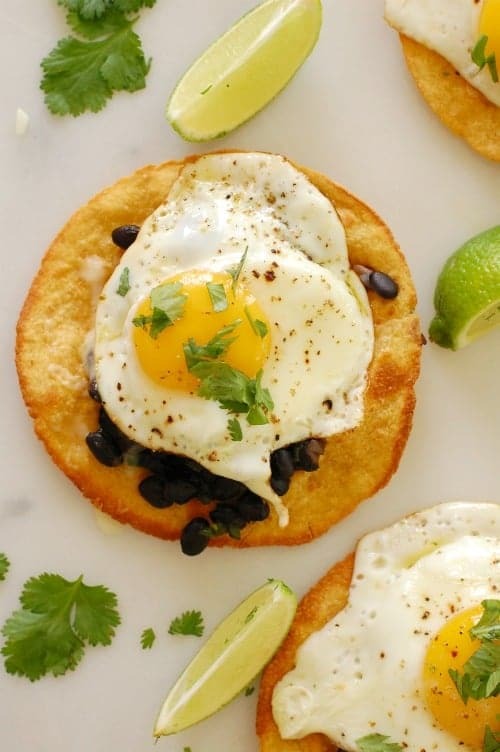 However you toast them, the tostada is the Mexican version of an open face sandwich and can be kind of taco messy to eat, but worth the effort. The cooked black beans, jalapeno and onion mixture turned out to be a little tame. I kind of thought that the jalapeno pepper would give enough heat. Taste the mixture and you may want to add a couple shakes of tabasco. I drizzled some sriracha on top of the egg and that seemed the perfect heat. 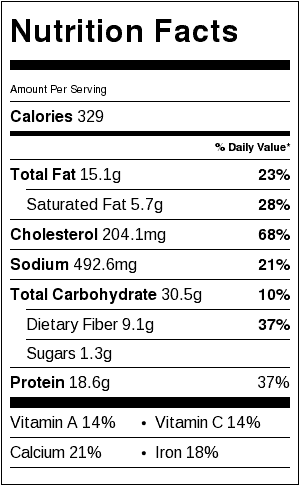 This is really a good breakfast and is packed with protein and dietary fiber. And heck, it makes a really good looking meal. Try it out for something a little out of the ordinary. Remove from the oven and keep on the sheet pan. In a large skillet, add 1/2 tbsp olive oil, black beans, jalapeno, and onion and cook on medium heat, 10 minutes. (Pour out the liquid on the top of the bean can, but leave the remaining liquid). Spoon bean mixture onto the tortillas then sprinkle with grated cheese. Place the tortillas under the oven broiler, 2 minutes, to melt the cheese. 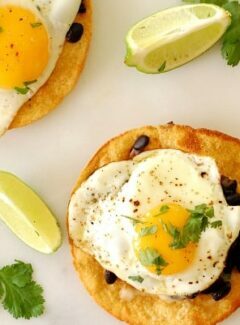 Cook eggs as desired, then place atop the beans. A little sriracha makes everything better. I was off on a shopping/lunch trip with friends and when I got home, there were two of these left. So I reheated them in the microwave for 30 seconds each; the yolks were still perfect and they were the perfect temperature. They made a delicious dinner! Sounds like a delicious breakfast!